Orders can be placed online, in person, by e-mail, or over the phone. Online orders require at least 2 business days notice and a minimum $36 purchase. If you need your order faster, please call us or stop in and we’ll do our best to accommodate you. Pre-payment in full is required for all special orders. Orders can be placed as far ahead as you like. Online orders require at least 2 business days notice. We prefer more notice for cake orders, larger quantities, and catering orders. If you need your order faster, please call or stop in, and we’ll do our best to accommodate you. Yes! Please see our FAQ – Delivery & Shipping page for details. If you call right away in the morning, we can often accommodate same day delivery requests. 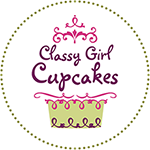 You can choose from cupcake flavors we have in stock, or we can surprise you with an assortment of our most popular flavors. See our FAQ – Delivery & Shipping page for more details. Currently we can ship our cupcake push pops nationwide. We cannot ship cupcakes or cakes at this time. We offer 24 hour online ordering, and we accept credit card payment over the phone or in person, cash in person, or we can send you a Square invoice to pay securely online. We only accept checks for pre-payment on wedding deposits and balances. We do not accept checks for retail or special orders, and we do not accept food stamps. Orders must be paid in full at the time they are placed, with the exception of weddings and catered events, which require a deposit to hold the date with the balance due at least 10 days prior to the event. We offer a 10% discount on catering orders of $500+ placed at least 90 days ahead, if payment is made in full at your consultation. Occasionally we offer specials, contests, and Crazy Cupcake Auctions on Facebook, Twitter, and Instagram, so make sure to follow us to be in the know! Do you offer Groupon or Living Social vouchers? No. We have offered vouchers in the past, but they have expired. Very rarely. We are a small local bakery without a huge production facility, so we are unable to offer traditional wholesale pricing. Contact us with inquiries, as we may consider a small discount on large repeated orders that are mutually beneficial.